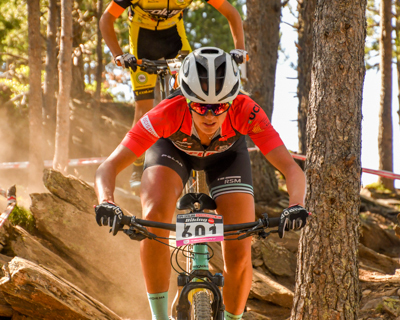 Circuit formed for 8 International races XCO format that resorts the whole Catalan territory. All the races will be UCI category, scoring for the world ranking and qualifiers for the Olympic Games and World Championships. As a novelty, there will be a parallel circuit for the categories Elite, Sub-23 and Junior, that will have specific classifications (in addition to score for the International Catalan Cup classification as well) and will be formed by 4 UCI races of maximum level (C1 and HC). These 4 tests will be gifted with a special score according to the quality of these. 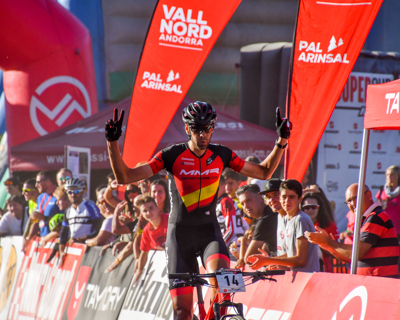 General rules: The calendar of the INTERNATIONAL CATALAN CUP will consist of XCO and CRI races. 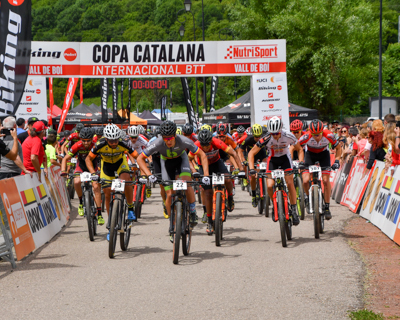 Both CCI and CCI SuperCup will be ruled in accordance with UCI regulations and with the one from the Catalan Cycling Federation. § Women: elite, under 23, , junior, cadet, master 30 and 40. § Men: Elite, U23, Junior, Cadet, Master 30, Master 40 and Master 50/60. 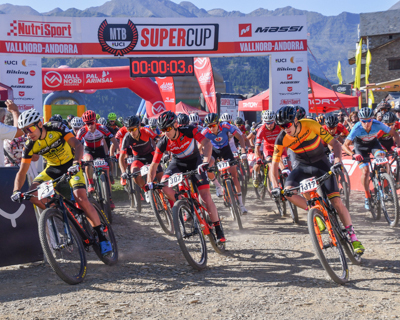 Regarding the final INDIVIDUAL classification of the CCI SuperCup, the 4 XCO races will score and they will add a 50% more than the individual CCI score. For the final CCI INDIVIDUAL ranking will score the 7 better XCO races (so one of them will be discounted) and all CRI. 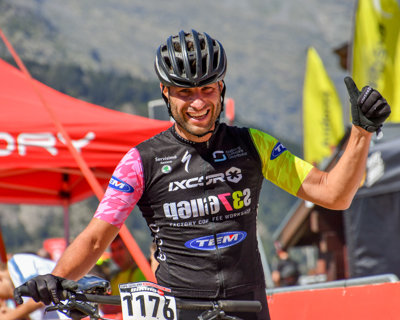 For the final TEAMS classification will score all tests XCO and CRI. In case of tie on points, it will be resolved in favor of the rider who has obtained the best result in the last race. In the 2018 calendar there will be four kind of UCI races: HC, C1, C2 and C3. 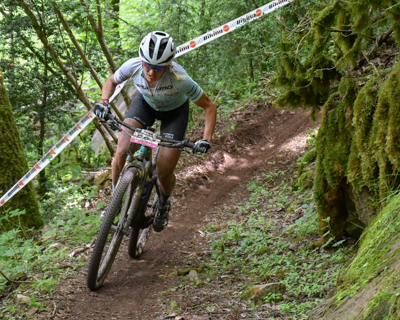 CCI SuperCup individual results (Banyoles/Barcelona/Girona/Vallnord): 1st-300 p. 2nd-262 p. 3rd-232 p. 4th-210 p. 5th-192 p. 6th-180 p, 7th-168 p. 8th-156 p. 9th-142p. 10th-132p. 11th-120p. 12th-114p. 13th-108p. 14th-102p. 15th-96p. 16th-90p. 17th-84 p. 18th-78 p. 19th-72 p. 20th-66 p. 21st-60 p. 22nd-54p. 23rd-48p. 24th-42p. 25th-36p. 26/30th-33p. 31st/35th-30p. 36th/40th-27p. 41st/45th-24p. 46th/50th-21p. 51st/60th-18p. 61st/70th-15p. 71st/80th-12p. 81th/90th-9p. 91st/100th-6p. 101st to TC 3p. CCI individual results: 1st-200 p. 2nd-175 p. 3rd-155 p. 4th-140 p. 5th-128 p. 6th-120 p, 7th-112 p. 8th-104 p. 9th-96 p. 10th-88 p. 11th-80 p. 12th-76 p. 13th-72 p. 14th-68 p. 15th-64 p. 16th-60 p. 17th-56 p. 18th-52 p. 19th-48 p. 20th-44 p. 21st-40 p. 22nd-36 p. 23rd-32 p. 24th-28p. 25th-24p. 26th/30th-22p. 31st/35th-20p. 36th/40th-18 p. 41st/45th-16p. 46th/50th-14p. 51st/60th-12p. 61st/70th-10p. 71st/80th-8p. 81th/90th-6p. 91st/100th-4p. 101st to TC 2p. Special CRI races (They don’t have UCI): 1st-100p. 2nd-88p. 3rd- 78p. 4th-70p. 5th-64p. 6th-60 p. 7th-56 p. 8th-52 p. 9th-48 p. 10th-44 p. 11th-40 p. 12th-38p. 13th-36p. 14th-34p. 15th-32p. 16th-30p. 17th-28p. 18th-26p. 19th-24p. 20th-22p. 21st-20p. 22nd-18p. 23rd-16 p. 24th-14 p. 25th-12 p. 26th/30th-11 p. 31st/35th-10 p. 36th/40th-9 p. 41st/45th-8p. 46th/50th-7p. 51st/60th-6p. 61st/70th- 5p. 71st/80th-4p. 81st/90th-3p. 91st/100th-2p. 101st- to TC 1p. Clothing and Advertising: The leader of each category must wear the maillot provided by the FCC, which reserves a space of 22 cm high by 30 cm wide available for advertising of his/her main sponsor. At the awards, riders’ attendees at the podium must wear the corresponding jersey and shorts around. Cash prizes will be subject to corresponding taxes. In the prologues and specials of the CCI there will be trophies for the first 3 masculine and feminine absolute riders and leader maillot, but not in cash prizes. Cash prizes will be subject to the corresponding taxes. 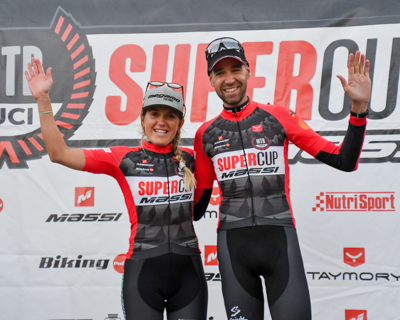 With regard to the CCI SuperCup, there will be a maillot for the leaders of each male and female Elite and Sub-23 races, and a maillot for the final champion of the circuit (male and female Elit Sub-23 and Junior categories). REGISTRATION AND PAYMENT ON LINE: until the Thursday before the race, it will close at 23: 59h. This year the payment is done at registration site by credit card, if you do not do the payment you are not registered. Phones: +34938088091, +34938088012. Email: info@ocisport.net, www.ocisport.net. The day of the race you will pick up the bike number (1st race), or any other race if the rider has not participated before, and the official International Catalan Cup 2018 T-shirt. You have to show their current license, and/or to sign the list. No registration will be accepted from 30 minutes before the race. Entries made the day of the race will have an extra charge of 10€, and you will not being included in the start list. Teams that want to book a paddock will have to send the BOOKING FORM PADDOCK, before the test. The space booking is for all tests of the CCI 2018. Please send the payment receipt to: info@ocisport.net. For teams with multiple riders you can send this TEAM REGISTRATION, please note that has to be sent for each test. Send the form to: info@ocisport.net. In the first race which includes the plate will be a surcharge of € 5 (plate / number, chip and gift). Registrations made on the same day of the race will be charged 10 €. It will not be included to the start list. The biker will be responsible for taking care of the plate and delivered back number, that will be used for all races (including special CRI) Catalan Cup. If you lose them you will have to pay 5€ for a duplicate. Claims (also valid for CRI tests): All formal claims of irregularities during the race and on the classification should be addressed to the Technical Jury within 30' from the time the official classification act is notified (no pre informal classification). If not resolved at this time, will go to the Competition Committee, which resolved within 4 days that affects the outcome of the race and after 8 days so it refers to possible sanctions. Start order: To assign the start line in the International Catalan Cup 2018 races will be considered, and in this order, the UCI ranking, the general classification of the International Catalan Cup 2017 and the order of registration through the web. Participation and registration. All categories may participate. No registrations will be accepted for the test on Saturday (CRI). Distance and duration of the tests. The approximate length of a CRI test must be between 4 and 8 km, or an equivalent duration 5-20 minutes of cycling. The route may or may not coincide with the raid track. In any case, the signage will be specific to each test. Rankings. See the section on special tests CRI ratings for the XC regulation. Clothing and advertising. In the special tests (CRI), the leader must wear the maillot provided by the FCC. Start order. The starting order will be the reverse of the general Catalan Cup classification category. In any case may start two runners of the same team in simultaneous positions, so in the case described above the next rider in the overall classification belonging to a different team than his predecessor shall be inserted. Categories start: Women: Junior, elite, Master 30/ 40, Men: Master30, junior, U23 and elite. In the event that the organization invite some international riders (eg UCI elite category. ), instead of start in last place, it interleave in an intermediate position according to the UCI ranking, however always is at the discretion of the organizing committee. If a rider is not present at its assigned time, will start at the time the technical jury authorized and time is counted from the time reassigned. The start interval between riders is 30". In case of lapping, it is not allowed to stay behind another runner. Classifications. The classification of a special race will make the grid for Sunday's race. A single category for elite U23 (General Scratch) is computed. Signaling. The route of the CRI will be correctly marked. If some part of the route goes through the XCO track, will be indicated by different signaling. Close circuit. It will close 15' before departure of the CRI. The circuit will be closed to all runners, including those who do not dispute the special test. Registration. Competition Teams may only include cyclists (M/F) category Elite, U23, Junior, Cadet, Master 30 and Master 40. To score in the Special Prize of the Catalan Cup teams must confirm registration at the permanent office of the organization Ocisport at least on the Thursday before the first race that will take part, being completely closed for the whole circuit. Riders. Each team must have a maximum of 25 registered runners and a minimum of 4 among categories Elite, U23, Junior, Cadet, Master 30 and Master 40. It is essential the same maillot and culottes with team colors and advertising exactly the same for the whole team. a. Leaders of the different categories must wear the leader's maillot that will be provided. These maillots have a space for team's advertising. b. Food supplies are only allowed in the marked areas. c. Replacement stuff and tools must be deposited in the marked technical areas. Is allowed the changing of material (no the bicycle frame) and technical assistance between members of the same team to team mechanic or neutral assistance. d. Those riders attending the awards ceremony will need to appear in person with the appropriate club clothing (maillot and culottes). e. Not sportive actions to other riders, technical jury, organization staff or environment may involve the exclusion of the race. 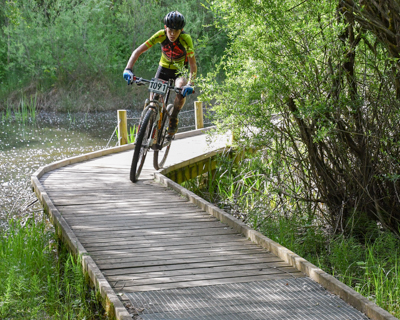 f. Participating in the International MTB Catalan Cup implies acceptance of these rules. These rules are subject to changes, extension and interpretation by the FCC and the organizing committee. g. Organization reserves the right to modify the circuit if insurmountable situations arise. Similarly, all contingencies will be resolved by the members of the organization together with the race's technical jury.